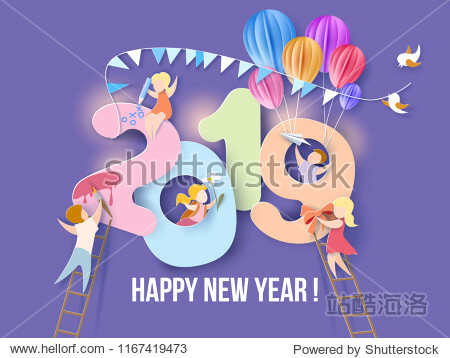 2019 New Year design card with kids on purple background. Vector illustration. Paper cut and craft style.